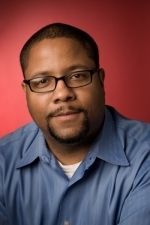 PITTSBURGH—The University of Pittsburgh has appointed noted education scholar H. Richard Milner IV as the Dr. Helen S. Faison Chair in Urban Education, professor of education, and director of Pitt’s Center for Urban Education. Milner, who will join the Pitt faculty in August, is currently associate professor of education and founding director of the Learning, Diversity, and Urban Studies Program in Vanderbilt University’s Peabody College of Education and Human Development. He also holds academic appointments in Vanderbilt’s Department of Teaching and Learning and Department of Leadership, Policy, and Organizations. Milner’s research, teaching, and policy interests include urban education, teacher education, African American literature, English Education, and the sociology of education. In 2010, the Harvard Education Press published his book Start Where You Are But Don’t Stay There: Understanding Diversity, Opportunity Gaps, and Teaching in Today’s Classrooms. His forthcoming book project is the first-ever Handbook of Urban Education (coedited with Kofi Lomotey, editor of the Sage Encyclopedia of African American Education). Milner also has published more than 70 professional journal articles and book chapters, and he has published five books. Milner is a policy fellow of the National Education Policy Center. Currently, he serves as the editor in chief of Urban Education, a journal seeking focused analyses of critical concerns related to metropolitan communities across the globe, and he was recently appointed to the editorial board of Educational Researcher. Milner’s research has been recognized and honored with the American Association of Colleges for Teacher Education’s 2012 Outstanding Book Award and the 2010 Carl A. Grant Multicultural Research Award. He also is the recipient of an Early Career Award (2006) from the American Education Research Association. In 2012, Milner was honored with The Ohio State University Distinguished Alumnus Award for his contributions to education research. During the 2013 annual meeting of the American Education Research Association in April, Milner will receive the Dr. Carlos J. Vallejo Memorial Award for exemplary scholarship. Over the course of his academic career, Milner has been a visiting scholar at Fisk University, the University of Pennsylvania, the University of Texas at Austin, and York University in Toronto. Milner’s community service includes work with the 100 Black Men of Middle Tennessee and with Room in the Inn Homeless Shelter in Murfreesboro, Tenn. He also is involved with several mentoring programs aimed at supporting students across their academic trajectories. Milner earned Master of Arts and PhD degrees in educational policy and leadership from The Ohio State University. He earned Master of Arts and Bachelor of Arts degrees in English Education and English, respectively, from South Carolina State University. "I view the Center for Urban Education as an essential resource for researching, supporting, and changing opportunity structures of youth in the metropolitan region and beyond,” said Milner. “Although too often untapped, urban communities are rich in human capital, and it will require collective engagement of faculty, staff, students, and community members for civic involvement and problem solving." 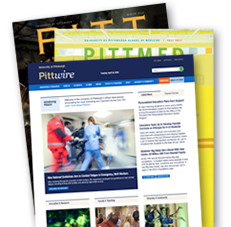 The mission of Pitt’s Center for Urban Education, founded in 2002, is to research and disseminate evidence-based methods for improving urban education in Pittsburgh and nationally. The Center’s three main areas of focus are research and practice, regional service, and institutional advancement. Milner succeeds Louis M. Gomez, who served as the inaugural Faison Chair and first director of the Center for Urban Education. The Faison Chair was established in 2006 to honor Pitt alumnus and emeritus trustee Helen S. Faison, a trailblazing educator who earned all three of her degrees in Pitt's School of Education: a Bachelor of Science degree in 1946, a Master of Education degree in 1955, and a PhD degree in 1975. Faison's storied career includes service as the Pittsburgh Public Schools' first female and first African American principal of an academic high school as well as the Pittsburgh school district’s first African American superintendent. She currently is retired director of the Pittsburgh Teachers Institute. Faison has earned a number of accolades from the University, including an honorary doctorate as well as recognition as a Legacy Laureate—a designation that honors Pitt alumni for their outstanding personal and professional accomplishments. She also was named a Distinguished Alumna by both Pitt's African American Alumni Council and the School of Education. The first fully endowed chair in the 98-year history of Pitt’s School of Education, the Faison Chair is funded through gifts from the Buhl Foundation, the Richard King Mellon Foundation, and the Grable Foundation, with additional support from the Falk Foundation.